The financial statements of any organization are more than just numbers, they present a picture about the financial health of the entity. 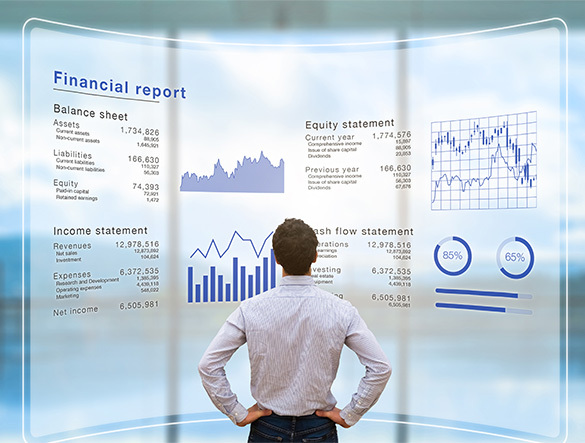 It is important for the business owners to understand their own company's financial statements and to plug weaknesses and identify opportunities for improving efficiency. This is even more relevant for sole proprietorships, small businesses, and start-ups. Learning how to read financial statements and interpreting it is a crucial process. Since owners of start-ups wear multiple hats, they undertake various functions like sales and marketing, accounts and finance, administration, and support system function. Gone are the days when one could rely blindly on the managers or on Heads of the departments. An effective manager needs to understand all functions very well and act accordingly. In such a scenario knowledge of financial statements helps in overall performance and success of the business. For certain entities like companies, the format for financials statements and the method of presentation is defined under the Companies Act. These are prescribed by keeping in mind the nature of activities and stakeholder's interests. It is important to understand the need for periodic reporting and why financial statements are prepared. Since financials present a summary of the revenue and expenditure of company's assets and payables, etc., it is very important from the stakeholder's perspective. Financial statements are used by external agencies like banks, lenders, investors, shareholders, various government and tax authorities, to understand the overall position and performance of a company. Furthermore, when financial statements are prepared following a consistent method of reporting and presented each year in the same manner, it aids in comparative analysis of past performance and future projections. In case of companies, financial reporting is crucial because ownership and management is in different hands. The shareholders are the ultimate owners of the company – but they do not participate in day-to-day operations and transactions. Hence financials serve an important function of presenting a true and fair picture of the affairs of the company. From the view point of minority interest and individual shareholders also, it is important to define the strict reporting formats so that financials represent the true and fair view of company's performance during the year. How Can V. Purohit & Associates Help Business Owners? As business owners, you need to stay one step ahead of the curve by anticipating challenges and pre-empting trends. Our experts can offer in-depth training through highly customized one-on-one sessions so that you can master financial statements. Talk to us and share your current challenges and the level of preparedness. We will be happy to tailor training sessions for you.